We believe that everyone has an equal right to be treated with respect and dignity, and that everyone has the potential to live an active and fulfilling life. Poppies Care Farm provides a safe environment for people to challenge their limitations and boundaries, learn, achieve, and be a contributing member of a community. 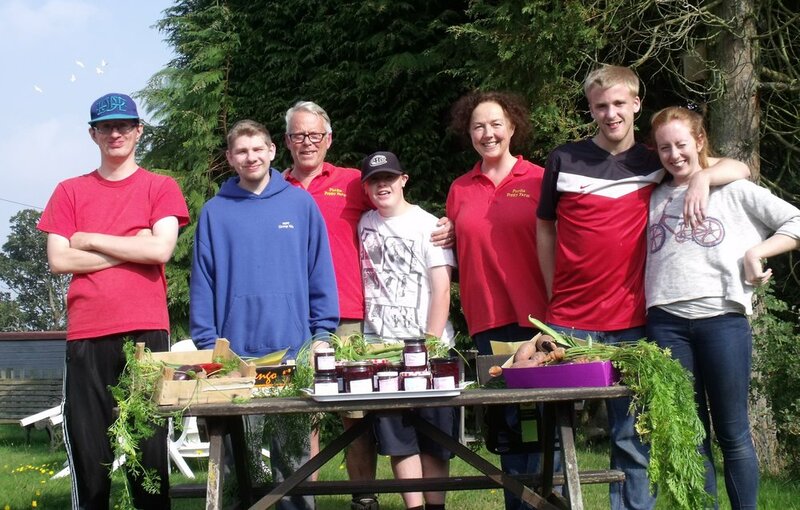 People with learning difficulties and mental health challenges are part of a team that help with all aspects of farm life: developing practical skills, gaining in confidence and self-esteem, increasing social skills and a sense of belonging. Every member sets personal goals to work towards, and we keep daily diaries recording activity and progress. This system helps us identify challenges and achievements, so that we can provide support and celebrate success. We have all arrived by 9.30 am and start the day with a cup of tea, catch up on news and talk about what we are going to do today. There is always lots to do and everyone will get a turn at all the activities. We need to pick teams so we put names in a hat. We have groans and laughter when we find out whose team we are on! 10 am comes and we all troop off together to tend to the animals. We feed and water the goats, guinea pigs, alpacas, rabbits and donkeys. Someone gets to collect the eggs – always exciting to see how many they have laid today! 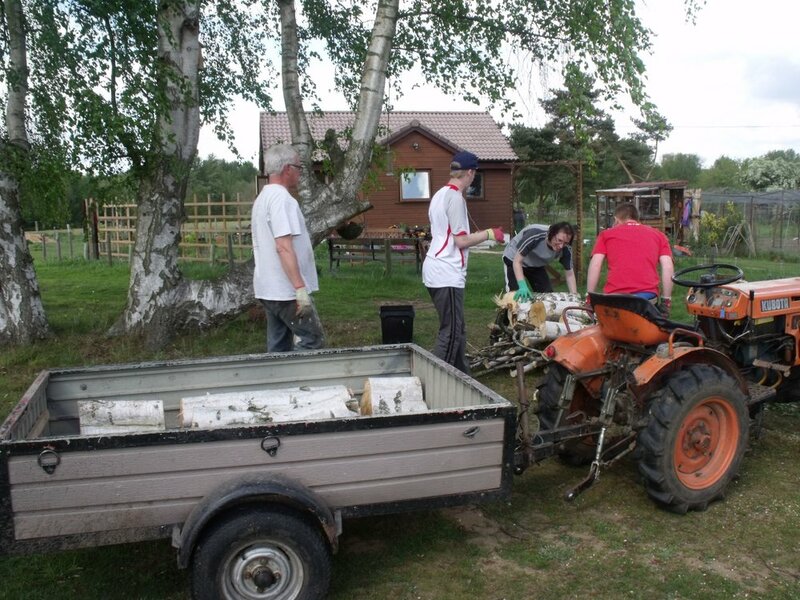 We muck out the donkeys, groom them and check their hooves for stones. We are all learning how to do this – taking it in turns. Nugget is much more accommodating than Lou! The animals all seem happy, so we take the donkeys for a walk round the farm, letting them feast on the long grass by the gate. The donkeys walk slowly but we make it back to the Yellow Barn for a tea break at 11 am. We have a quick game of table football and some biscuits. And cake, because it is someone’s birthday. After tea, we split into our teams. One team heads off to the Market Garden. We do what the season dictates – today we are sieving compost and putting it on the beds ready for planting. We are also harvesting the last of the parsnips. The other team is digging a trench to install some water pipes into the donkey and alpaca field for automatic water feeders. At lunchtime, we relax and have our lunch. We have time to play some pool or table football, darts or samurai training on the Nintendo Switch! After lunch, we swop teams and continue with the same activities as the morning so everyone takes a turn. At 3 pm we all wend our way back to the Yellow Barn to collapse and feel proud of what we have done. We have a drink and review our day, keeping a record in diaries of achievements, progress, high points and low points.